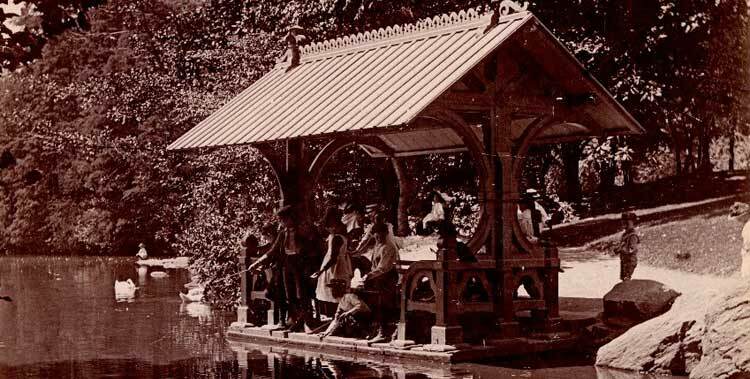 Beginning in 1860, six boat landings were constructed along the shoreline of the Lake. 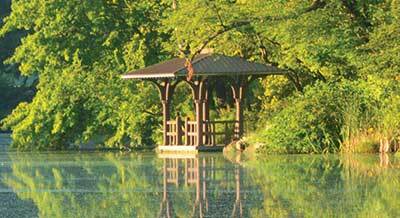 The small structures served to enhance the scenic enjoyment and recreational experience of the Lake and its surrounding landscapes. 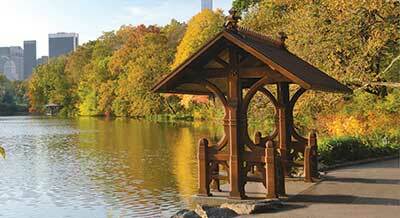 A passenger boat even made a circuit around the Lake picking up and dropping off visitors at all six landings and Bethesda Terrace. The boat landings were designed to be subordinate to the landscape and to complement the surrounding scenery, each with a site-specific and unique design. Photographs of the nineteenth and twentieth century reveal that the landings were periodically repaired and rebuilt, and that much of the original detail was lost over time. 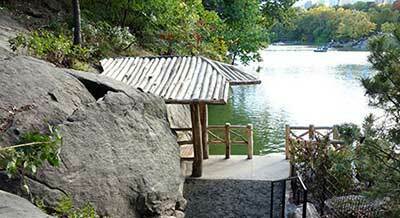 Eventually, the landings were removed, and one was replaced by the Loeb Boathouse in 1953. Four of the landings were rebuilt in the 1970s, led by the Friends of Central Park and the Parks Department, with effort made to replicate the original designs. Central Park Conservancy recently rebuilt and installed new boat landings to replace those constructed in the 1970s, which were nearing the end of their useful life. The new landings are more faithful recreations of the original designs and represent Rustic and Victorian styles. As part of the project, the Conservancy also built and re-installed a fifth landing (Chambers Landing) that had historically existed on the Ramble shoreline between Oak Bridge and the Cave inlet, but had not been reconstructed with the others in 1970s. 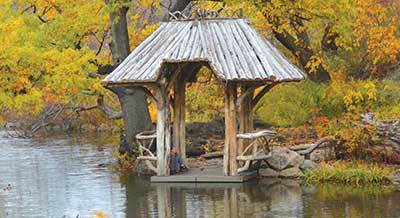 To learn more about the boat landings, walk our Monthly Mile, visit them by boat, or get an insider’s look in an Official Central Park Tour that is rarely offered to the public. The restoration of Chambers Landing was made possible by Ray and Patti Chambers. 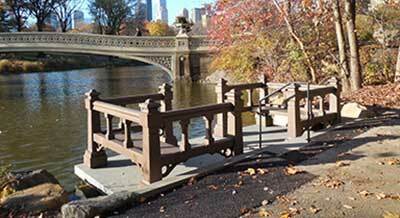 The restoration of Bow Bridge Landing was made possible by Didi and Oscar Schafer. The restoration of Western Shore Landing was made possible by Leni and Peter May. The restoration of Wagner Cove Landing was made possible by Ray and Patti Chambers. Mid-Park from 71st to 78th Streets.